The supply and installation of low energy automatic doors throughout Reading, fully automatic doors and retrofit kits. Why Choose WES Doors Bristol? 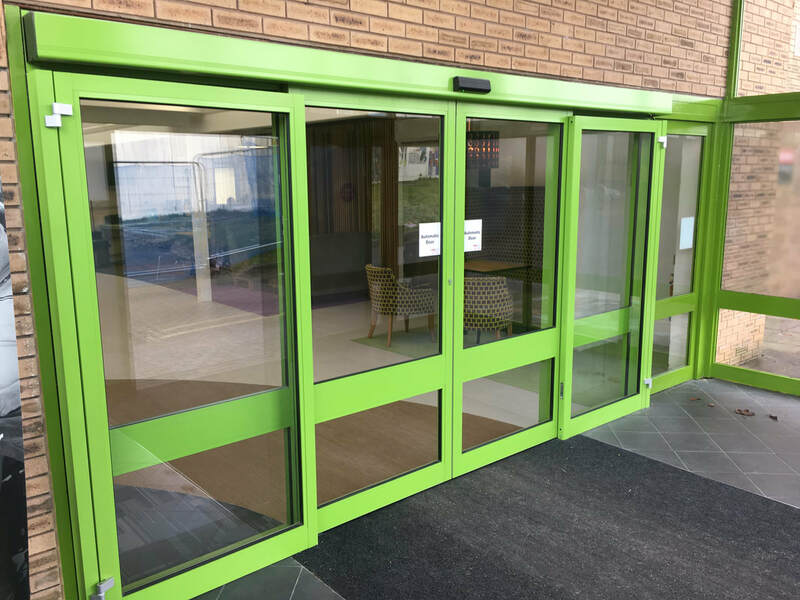 We are a local and friendly automatic door repair company specialising in installation, repairs and upgrades of all types of automatic doors, swing doors and automated revolving doors. We have built our reputation up over the years as the premier automatic door company for Reading and local areas working with many well known businesses and local businesses alike to ensure their automated doors are safe and working which in turn ensures businesses remain open at all times. We work around your business needs and are fully health and safety trained working to BS 7036 (1996). We also provide maintenance contracts for call outs and upgrades for your peace of mind. We cover the whole of Reading, Woodley, Wokingham, Wargrave, Burghfield and Bracknell with a 24/7 automatic door repair service to businesses and public buildings.